In November 2009, Caroline Scott-Thomas of Food Navigator USA.com published an article about current grocery shopping habits. Interestingly enough, she cites a recent survey that found that while consumers are generally less concerned about the overall state of the economy, they are more concerned about the cost of groceries. More and more Americans are hunting for coupons and purchasing more store brand food products to save a few bucks. The survey results also show that even people in higher income groups are using these money-saving tactics in the grocery store: about half of the people polled with household incomes of over $75,000 a year say they cut coupons. These survey findings match up with Todd Hale’s assessment of Consumer Goods Spending for nielsen.com. Bargain hunting is the new fad for the majority of Americans given the struggling US economy. People are choosing to buy cheaper proteins like chicken and turkey as opposed to beef and seafood, and they’re preparing more meals at home to avoid those expensive dinners out on the town. Laura Harders, creator of the blog "Frugal Friends in Northern Virginia"
Online deals also make grocery bargains more accessible to the average consumer. 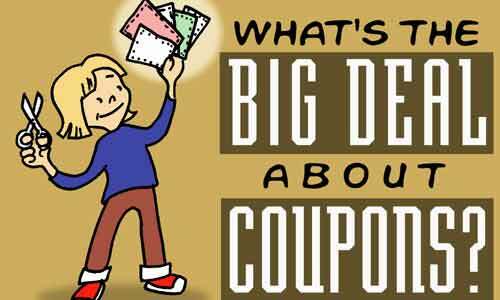 There are online groups and websites devoted to sharing coupons and deals, such as Laura Harders’ blog “Frugal Friends in Northern Virginia.” Food manufacturing companies also cater to the coupon trend by posting coupons on the company’s official website. While consumers used to obtain coupons from print media like newspapers and magazines, now Google can pinpoint a plethora of coupons – and even coupon communities – in just one click. 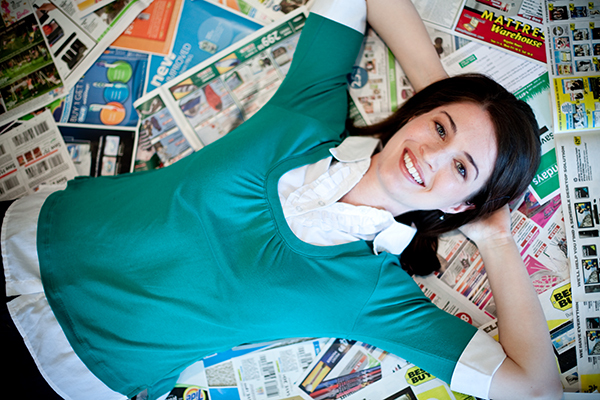 Coupon cutting isn’t just for persnickety people with too much time on their hands. Today, coupon cutting is the thing to do.